The concept of being-with developed by the philosopher Jean-Luc Nancy asks a fundamental question about human life, inasmuch as we have always been and will be co-existent with people and environments. All modes of sense-making and subjectivation, but also presence, can only occur within a context and through interaction. This is why historical forms of theater have frequently been viewed as sites of communality and why critical approaches have questioned concepts such as ‘sense’, ‘meaning’ and ‘habitus’. Like literature, theater has also inherited the scene of myth: It satisfies our need for narration, interpretation and to share in something. In turn, the joint creation of meaning in scenic practices is also part of the traditional idealization of the theater – but is this ideal purely mythical? 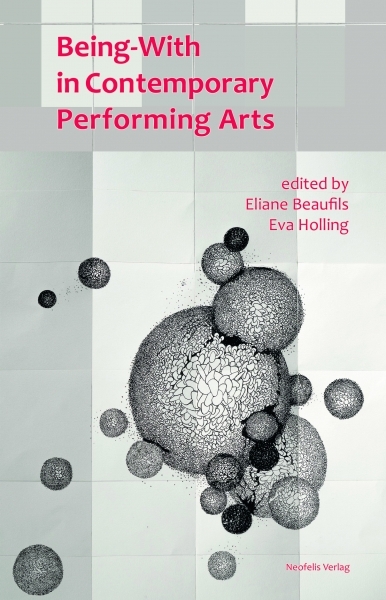 The authors of this book investigate and explore how meaning is being questioned or liberated in contemporary performances, and how individual thinking/action can be articulated to others, paving the way for other gestures, theatrical processes of recog­nition and the performative sharing process (of sense-making). Mit Beiträgen von Katia Arfara, Isabelle Barbéris, Eliane Beaufils, Chloé Déchery, Leon Gabriel, Heiner Goebbels, Narges Hashempour, Stéphane Hervé, Eva Holling, Ivana Müller, Marie Preston, Bernhard Siebert, Gerald Siegmund, Marie Vandenbussche-Cont und Kai van Eikels.